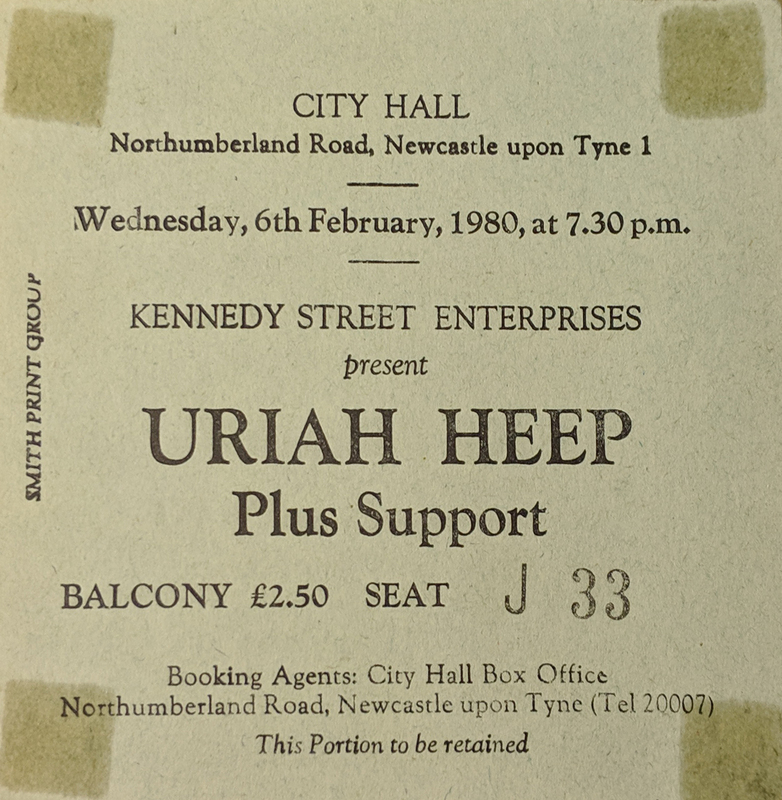 Third and final time seeing Uriah Heep – I think after this they started to play at Newcastle Mayfair instead and it was always difficult to get home from there. Also I went to University and my musical tastes expanded so I was going to see different bands which is a shame because I always like Uriah Heep live especially July Morning. Having said that Lee kerslake had left before this tour and Ken Hensley left after it so maybe the line up changes were all a bit too much! Support was the wonderful Girlschool who I’d get to see twice more in the coming weeks.